Virgo really is the zodiacs, who are literally the best to be gifted. They are such pure and practical souls that they are the one who would understand the deep feeling inside of a gift. Any gift item, whether that is a small rock or a marvelous huge necklace of diamonds, Virgo tends to understand the feeling beneath that gift which is so very important. You need to put through your gift pack something which would really make them think and let them be in love with you. With Virgo, the m ain problem which arises is there quality standards of living and giving values to lives. They are very organized in their lives and are hardworking to make things on place forever. They are sounder in analyzing things after it gets over so that something good can be taken out of it. They are much grounded as well, and money doesn’t tend to buy their emotions and love for anyone. You need to know these personality traits of Virgo before gifting them anything. Hence you need to go through some of the gifts that make sense, whatever small or large may be the price. You need to know them more in order to find a suitable gift for them. Hence through this article you would come to know about some of the things that incite a Virgo very much and they love to get from their loved ones and from others as well. Kitchen is the place where you could target at the very beginning. You could make Virgo happy by gifting them quality kitchen appliances such as mixer grinder, bread machine, microwave oven and many more. You need to keep the thing in mind that these appliances must has to be in sync with the décor of the house as Virgo are very primitive and particular about these minor details when it comes to their home and its beautification. They love to make their house a cleaner one and thus try to put them on a cleaning aisle. You could give them a vacuum cleaner or kitchen cleaning kit to make their kitchen cleaning woes get sorted out. They love to keep their homes neat and clean. If you are planning for some vivacious and very costly gift for Virgo, then its sheer waste of money! Virgo is more interested towards the love and affection you attach with the gift. It is better to gift them something which you made by your own hands and imagination. 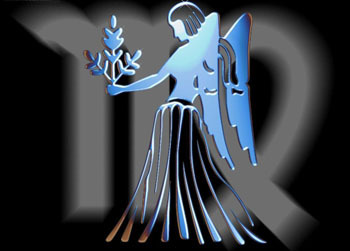 Virgo is mainly very ardent book lovers and they find their heaven in reading. So it always is a safe option to gift various books to Virgo on subjects of their choice. Some might love to read fiction stories and novels, while others may have interest for basic non-fictional and common interest magazine. Hence, you need to keep track of their choices and gift them accordingly. At last, if all these fail, you could try and give them something to keep things organized. A rack or a briefcase in this case would be suitable for Virgo.